Hello again! 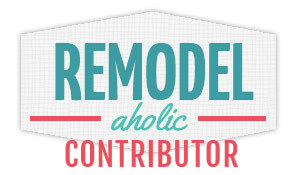 I am back with another fun repurposed project for you today! 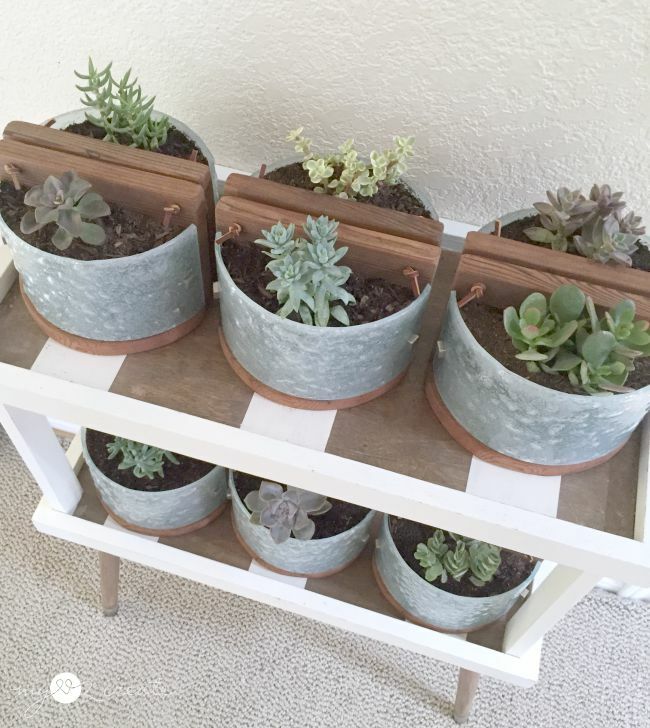 You know I love to be thrifty and repurpose, and so do my friends (my friends that live by me, cause you are also my friends)...which is why this project was possible. My friend Leslie gave me her old bathroom light fixtures when I went to pick up some jewelry from her, she is amazing and has beautiful affordable jewelry that she makes...oh wait, I am getting off subject...right. Light fixtures. 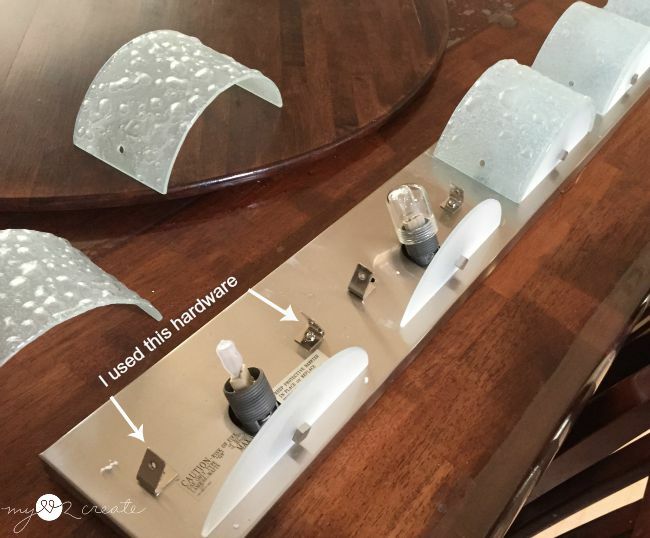 These light fixtures intrigued me, well the curved glass did, and I kept pondering on them each time I passed by in the garage...what to do with them? Hmmm. 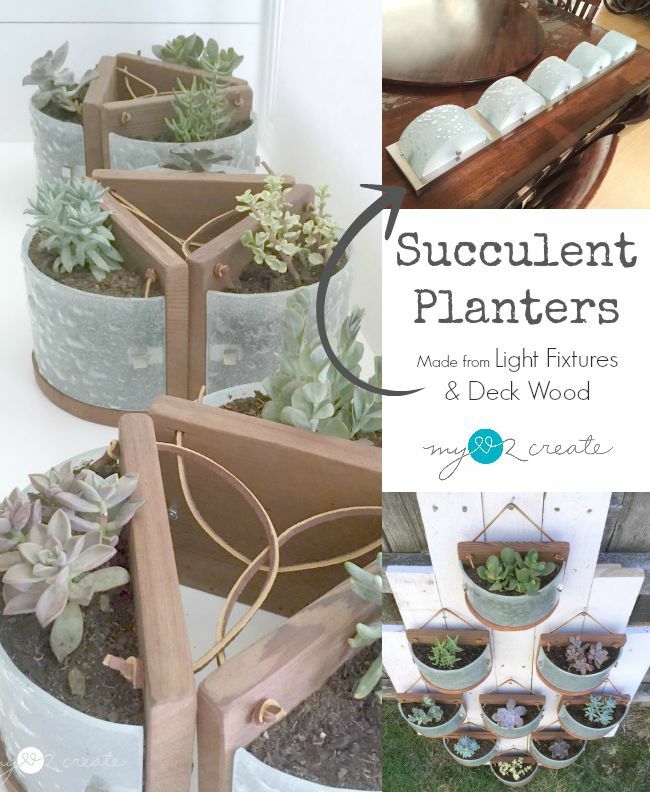 I eventually came up with today's project, Succulent Planters from Light Fixtures! 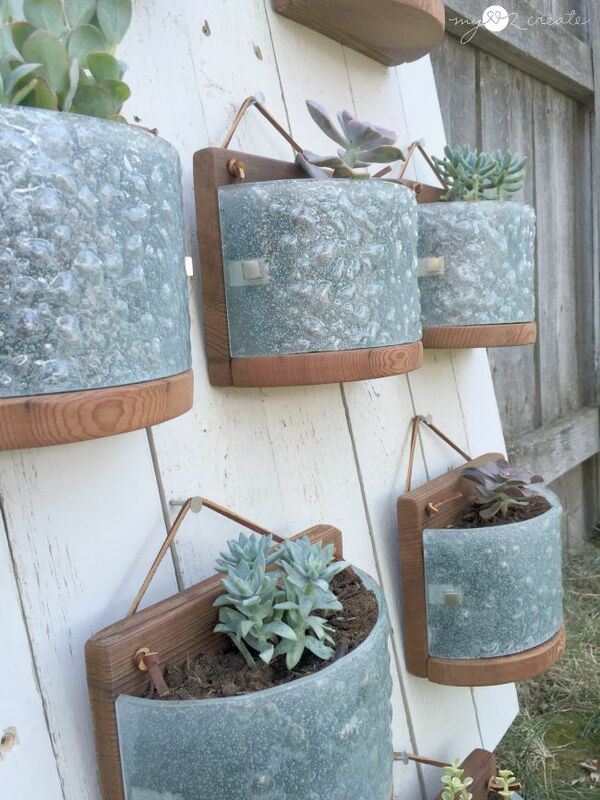 Ok, I guess technically it is Succulent Planters made from light fixture glass, but it was just easier to say light fixtures, so I went with it. 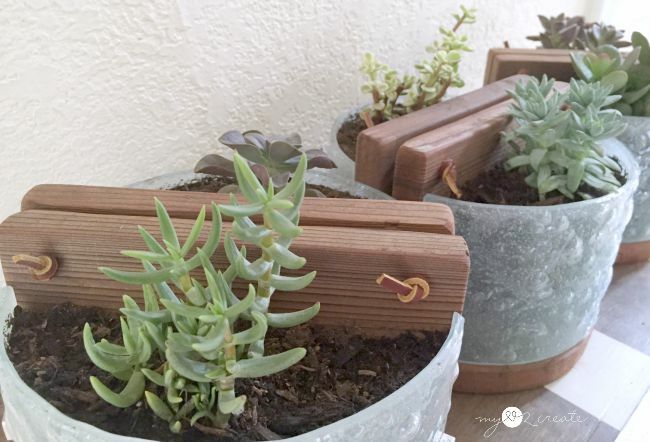 Now let me tell you another fun thing, not only am I sharing a repurposed project today, but 7 of my awesome DIY friends are sharing repurposed projects too, it's your lucky day! Just like the One Board Challenge I was a part of in July. I am hosting my own challenge for September and of course I wanted to do a Repurpose It Challenge, because that is what I love to do! I kind of love them. :) Mmmm. 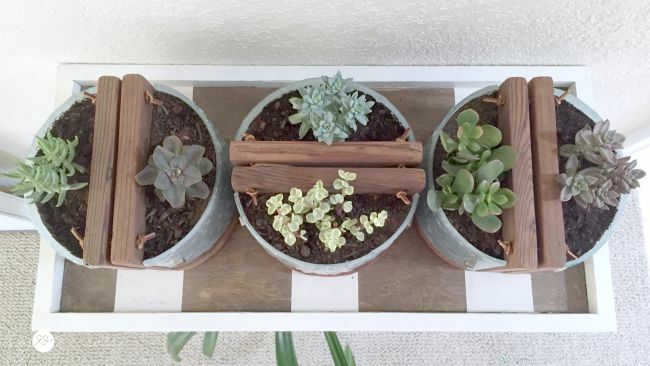 I came up with several different ideas, but the one that stuck in my head was to make them into planters. I have been SLOWLY working on my master bedroom and I really wanted to bring some plant life to my space. 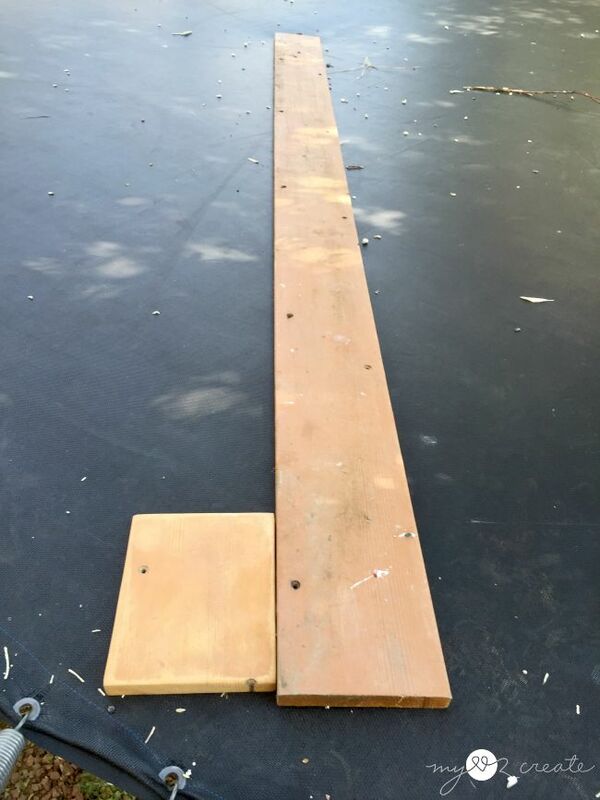 I went to my stash of deck wood that my father in law gave me, and grabbed a long board, it would be perfect for planters. Cause you know, deck wood, it is made to be in the elements...water. 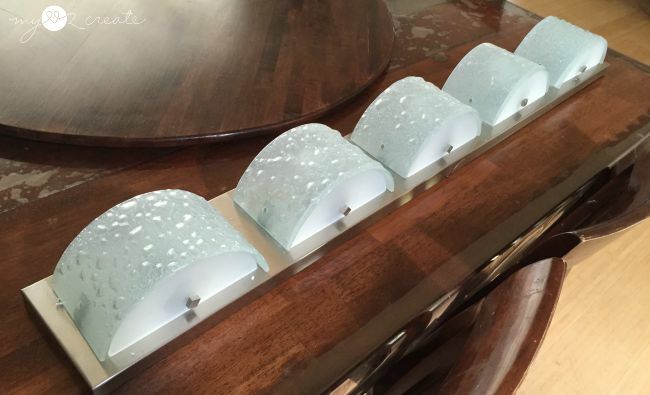 My deck wood was just the right width for my glass fixture at 5 1/2 inches wide. 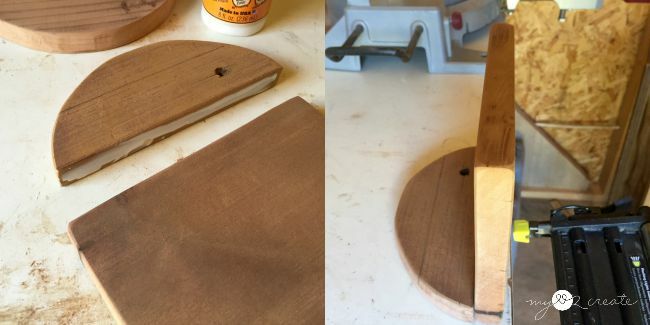 I grabbed a scrap piece of it and another piece of scrap wood and started figuring how it could work (left photo). Once I knew what I wanted I traced around the glass onto the board and cut out the semi circle with my Ryobi Jig Saw . Then I did a dry fit. 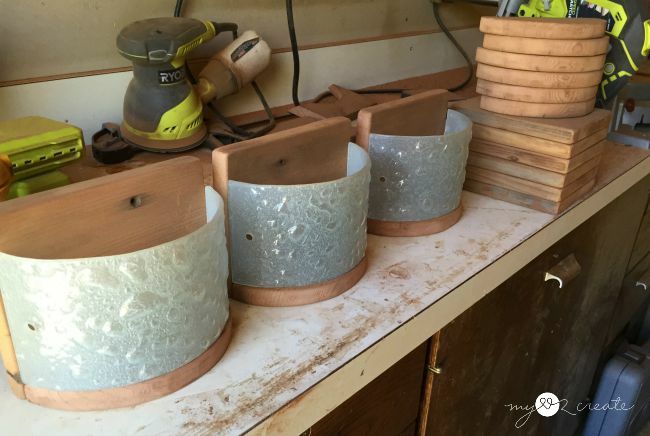 I decided to make planters out of all 9 glass fixtures, since I was doing it anyway, I might as well make them all, so I cut the wood. Plus I had a few different ideas of how to display them, and I wasn't sure how many I would need. After sanding the pieces, I added glue and finish nails to attach the semi circle to the rectangle. 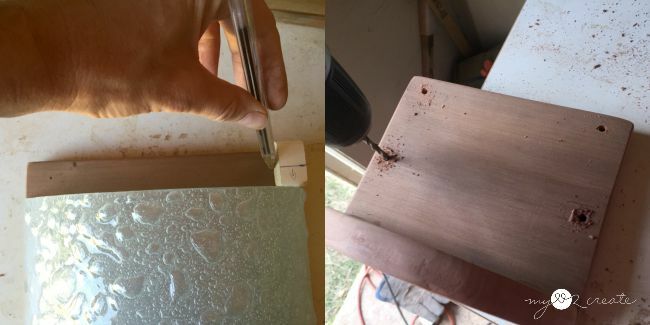 Then I used the glass and a scrap piece to mark where to drill holes. I added holes to the top so I could hang them if I wanted, and holes where the hardware would attach to the glass front. 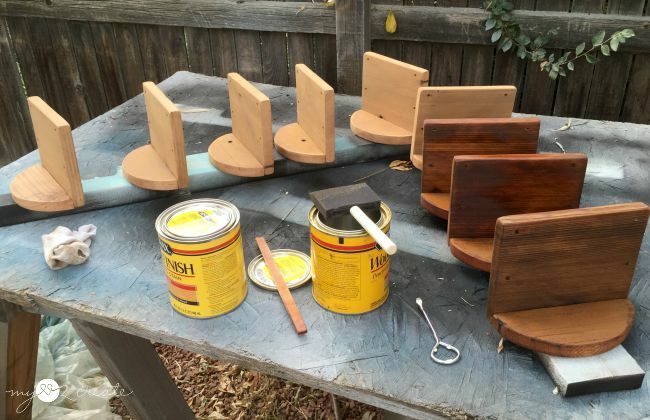 I decided to go with a Natural Stain to bring out the rich wood color. It is amazing the difference it makes. The dark wood planters on the right have been stained the rest haven't, when the stain was dry I was ready to add the glass fronts. I was able to use most of the hardware from the original fixture. I replaced the small machine screws with 1 1/4 inch machine screws from home depot. 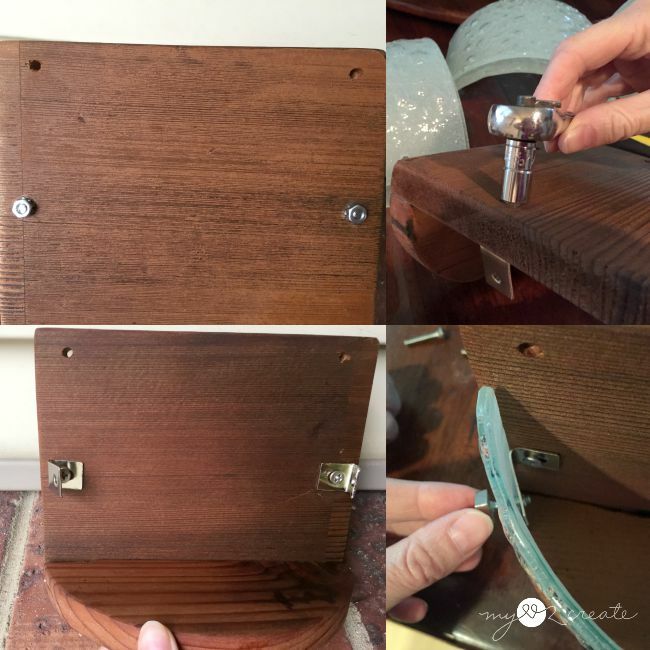 The longer screws allowed me to attach the hardware through the 3/4in thick wood. I took the hardware to the store to make sure I got the proper size screws. When I got home I attached the metal brackets onto the wood. Then I attached the glass fronts. It was really easy! Now all I had to do was plant! 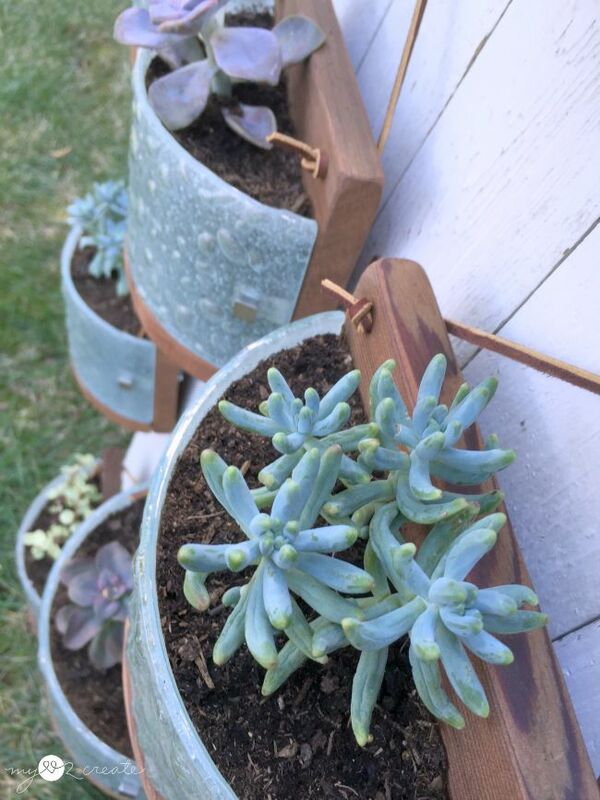 I got these succulents for a great deal at an Ace Hardware nursery. It was totally buy chance, I asked Siri where the nearest nursery was and she took me there. They were cheaper than the other store I had tried so I got them @ $2.49 each. I am sure you can find great deals online too, but I was out of time, or I am just impatient. 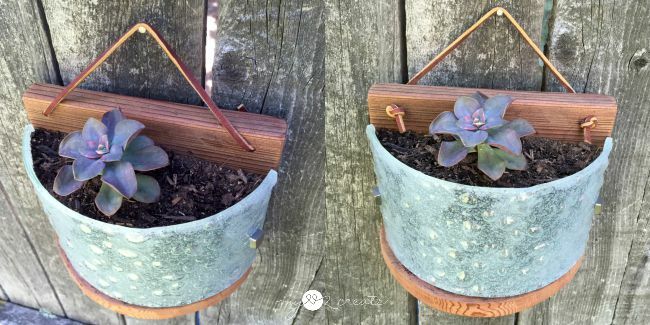 To make them hanging planters I added leather lace through my top holes and tied knots to secure it in place. In the photos above I was testing to see which way I wanted to have my leather knots. I liked them both, but decided the knots in front added character, and made it easier for multiple uses...more on that in a second. 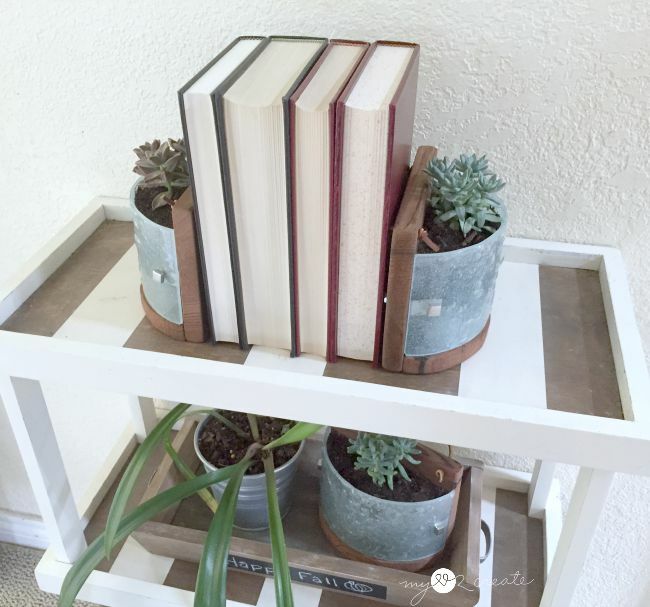 For example, if I want to use my planters as book ends. I guess I will have to decide. Can you tell I was enjoying staging these? Ha ha. My original plan was to have them hanging. I had some scrap wood that was already painted white, it was from a sun room and I used it to make my chippy decor box years ago, so I grabbed it and just randomly threw some pieces together. I ended up having some boards the same size so I cut a couple to make a "sort of" pattern, I glued and nailed scrap wood to the back to secure the boards together. I was really just winging it to see if I liked the look. I hammered in some nails, and I was done. ...and I liked them there too. Maybe I shouldn't do things versatile...it only complicates my issues with making decisions! But I guess it is good in a way, because I can keep changing my mind and it isn't a big deal. Right?! And now, onto the blog hop! 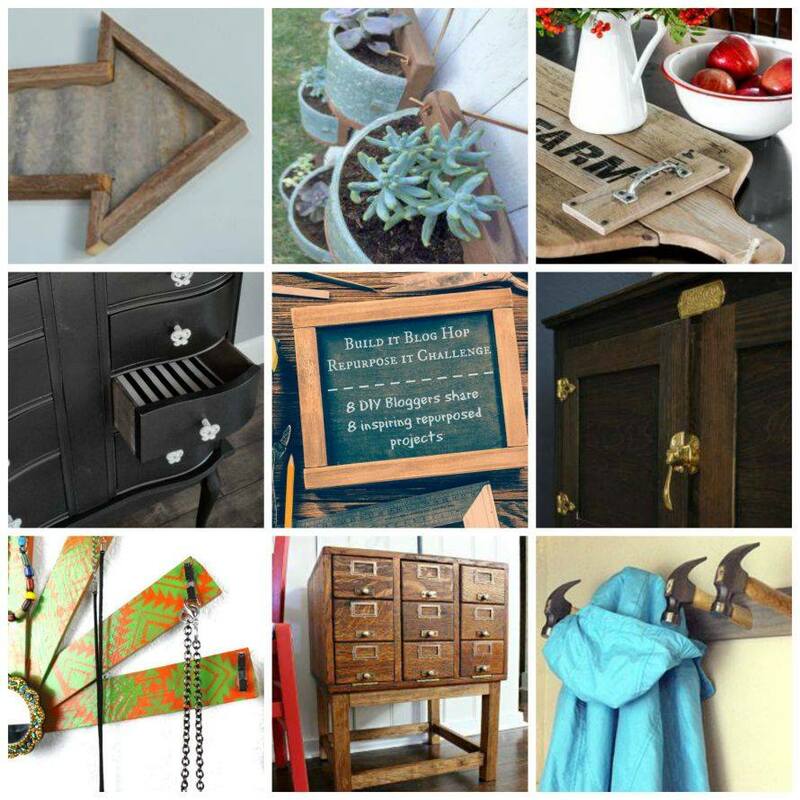 Here is a sneak peek of all the cool repurposed projects for you to see! Please go check them out, and send them some love from me! 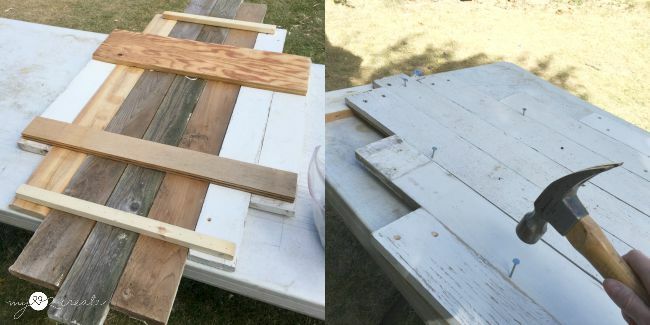 Oh, and if you missed my post yesterday, then you will want to check it out, I am hosting a One Board Challenge for YOU and you have a chance to win $1,000 in Ryobi Tools! I know right?! 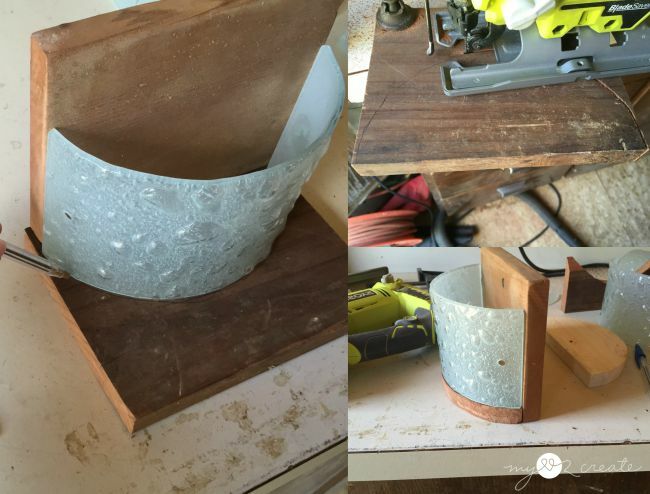 Plus I finally posted my plans for my Floating night stand. Mindi! You outdid yourself! Oh my gosh! How great that you were able to use those little hardware brackets...perfect! I can't even tell you which way I love them best....it's all so wonderful. But IF I had to choose one, I would have to choose them all hanging on the whitewashed board. wait... maybe it's back to back... no, I think it's the bookends..... brilliant, creative, and oh so clever! 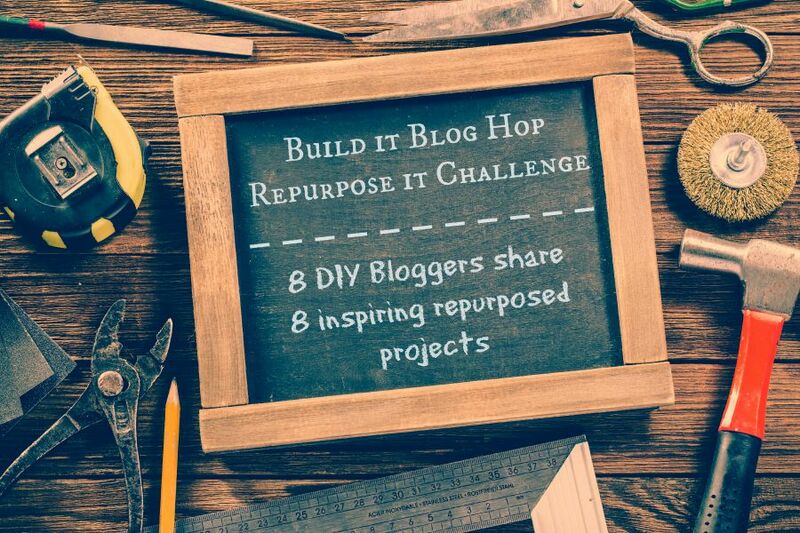 Thanks for hosting this Repurpose It challenge!! Oh my goodness... these are so cool! I would have never thought do to that! I'm off to go on a wild pinning frenzy. haha Well done! These are freakin' AWESOME! Love them so much, such a great idea! So super smart how in the world did you ever come up with that genius idea?! I love the contrast of the glass, hardware, wood, leather, and plant - it all works together like it was meant to be. They are beautiful. Okay.. this so cool how you can mix and match them into all those different styles.. I love them as bookends! And what a smart way to use the hardware! This is genius! How did you ever come up with this idea?? Now I'm going to look at my fixtures and see if they look outdated! Holy that is amazing! I would have NEVER thought of that! High five lady! Love it! Mindi!!! 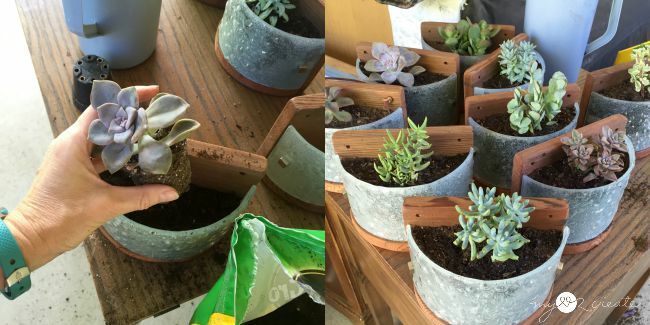 Those are the cutest planters ever...I just don't get how you can see an light and come up with that. Amazing Seriously so cute. WOW!!!! You are UH-MAAAAAA-ZINGLY creative! Love how versatile the planters are for displaying. So many options! So cool! Thank you so much for sharing this at the What to do Weekends Party! 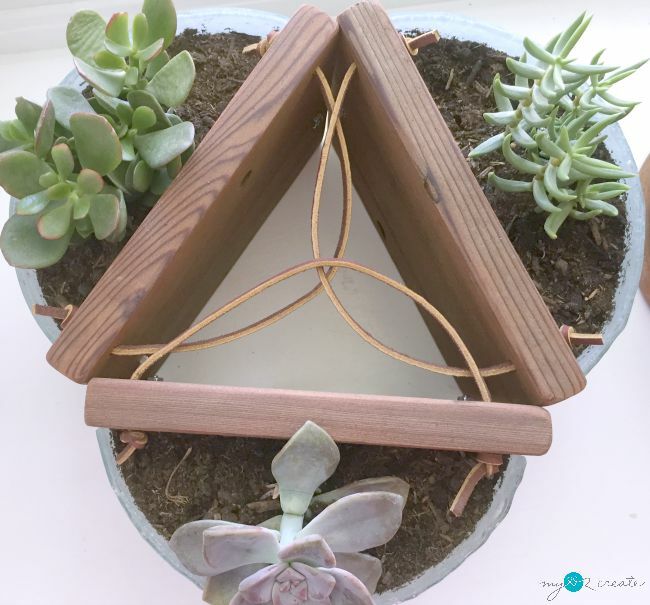 My Mum will love your incredibly inventive planters! So creative! I love this and really like them as book ends, that was my favorite! A project well done with class. 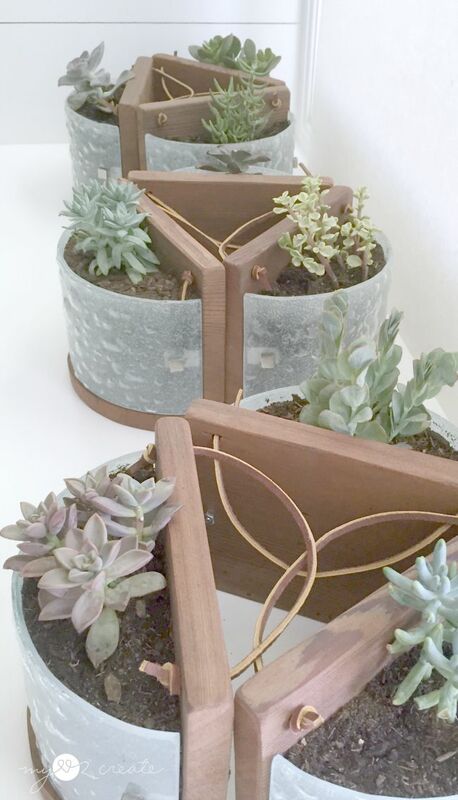 What a great idea to upcycle. 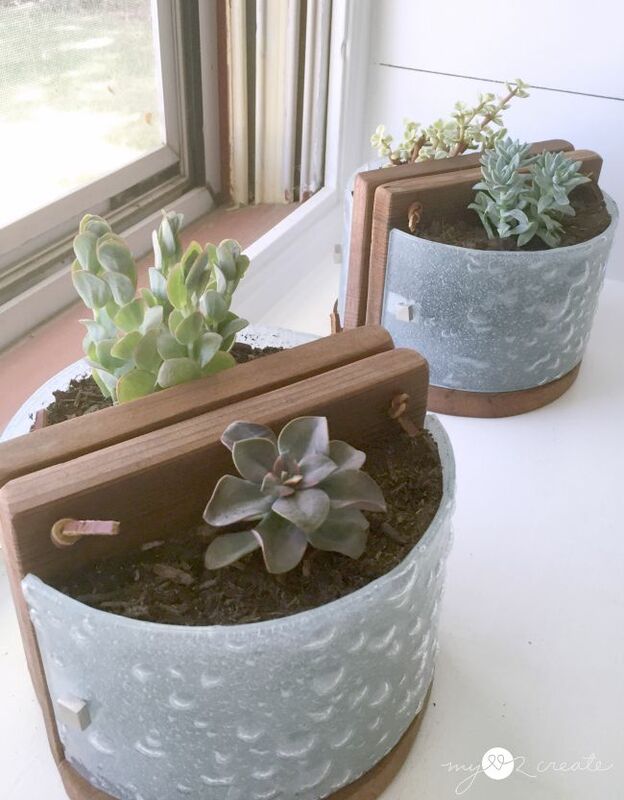 I love the way the planters turned out. I am visiting from the #HomeMattersParty and hope that you visit me as well. So creative! I especially love the bookends! 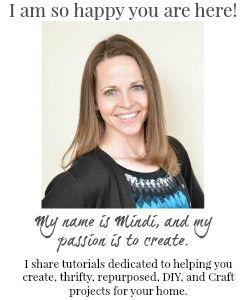 Mindi, you really thought out of the box with this one. 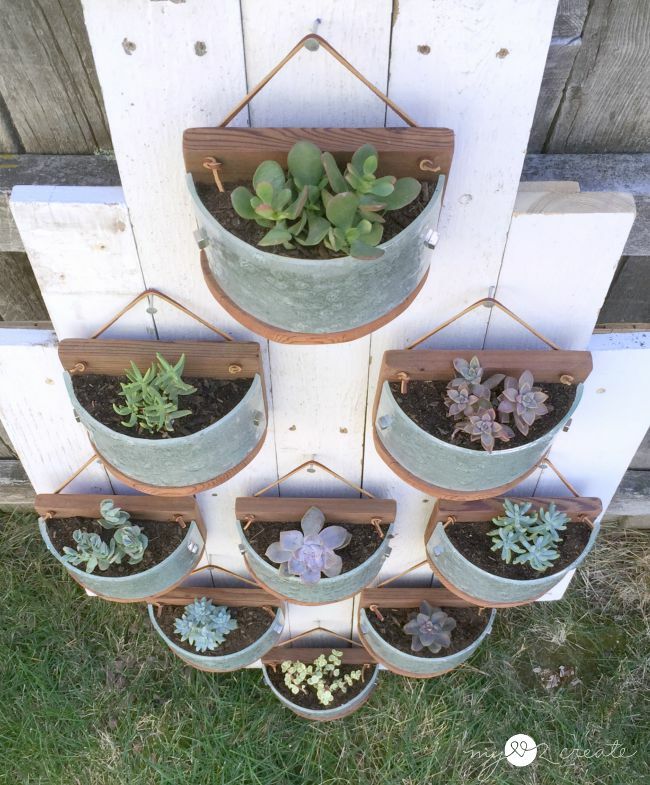 I would never have thought to turn them into planters. Very neat! Thanks for sharing with SYC. They look amazing, Mindi! Brilliant!!! What a creative and brilliant idea- I love this! You are so stinking creative! 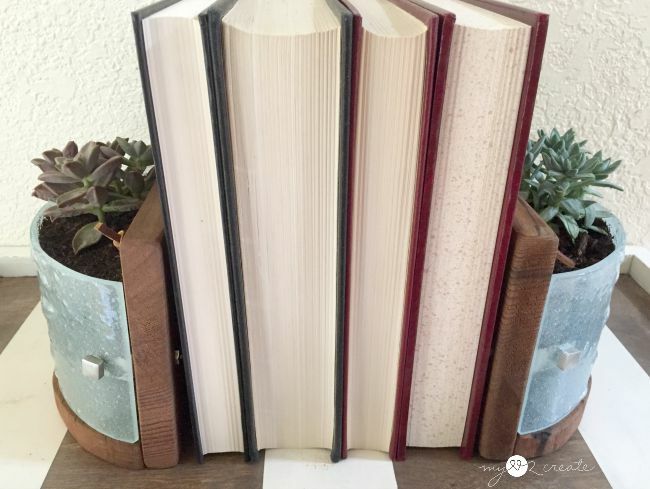 I absolutely love the idea of bookends. P.S. New camera? The photos look great! This is a fab project! So glad you are featured at Something To Talk About Link Party! Cheers to a great week! This is SO brilliant! I'm in awe of this idea! So creative! I'm featuring this project at the Talented Tuesday party tomorrow morning. I hope you'll stop by and say hi :) Thanks for sharing with us!